Clean Air Day is an annual occasion for celebrating clean air and reflecting on how our individual and collective actions contribute to air quality. 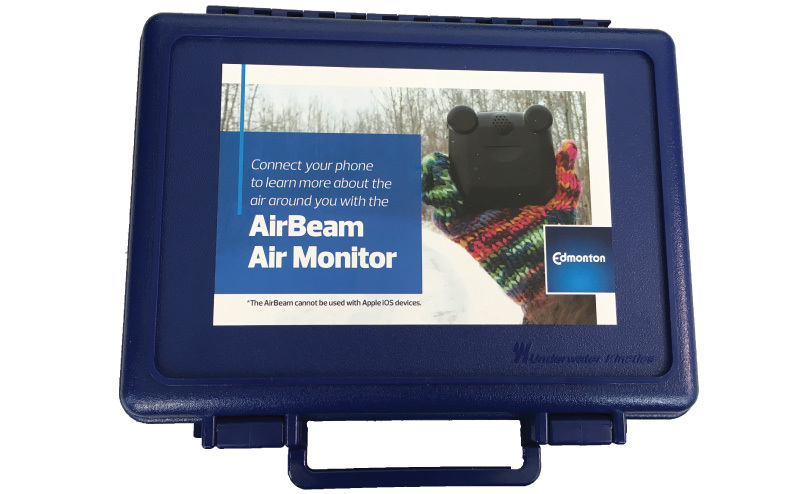 On June 6 the City of Edmonton launched the Air Quality Light Bulb Tool - an innovative digital platform that can be used to monitor the City's air quality. Citizens can use the tool to connect to a wifi enabled light bulb and receive notifications when Edmonton's air quality changes, as reported through the Air Quality Health Index (AQHI) . To learn more about the tool and to download the app, visit the Smart Cities Challenge website. See the light bulb in action! This impressive art installation will rotate through a number of Recreation Centres until mid-December. Be informed about the air quality in Edmonton by checking the Air Quality Health Index (AQHI). Be Idle Free - Idling your vehicle not only wastes gasoline (and therefore, money), it also causes needless pollution and can be damaging to your vehicle. Protect your wallet and your health - be aware of your idling habits. Traffic can be a big headache. Lessen the traffic by using alternative modes of transportation. Walk, bike or try taking Edmonton Transit instead of driving. Edmonton Transit is committed to offering environmentally-friendly transportation. Just one bus can replace about 50 private cars on the road! Learn about how you can contribute to improving indoor and outdoor air quality at home, school and work. Encourage your organization to become a member of the Alberta Capital Airshed. Participate in Wheel Week, June 3-9, by cycling, rollerblading, scootering or skateboarding to your destination! Register with SHAPE Alberta. Get more environmentally friendly tips! Learn the many ways to get around in an environmentally friendly way. Root for Trees is a tree planting initiative which increases tree planting within the city. Unnecessary idling costs Canadians millions of dollars every year and it's a major contributor to climate change.